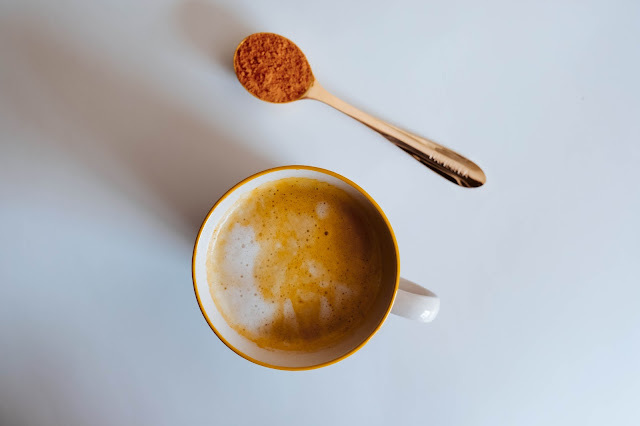 I received a lot of requests to share my turmeric latte recipe, so here it is! There are 2 different ways I make this and I will be sharing both with you today! Turmeric is from Southeast Asia and is argued to be the strongest herbs for fighting disease. It's great for your skin and has anti-inflammatory properties. During cancer treatment, I took curcumin supplements, which as you guessed are derived from turmeric. Turmeric is often referred to as "the spice of life" and is a great pick-me-up in any season. If you want to learn more about turmeric, check out this article on ELLE. I've been loving this powder because it is so easy to make a tea to go and not have to measure out all the ingredients. Plus it just tastes delicious so why not? I put 1 scoop of this in a cup, add some hot water and honey and then I add steamed almond milk. 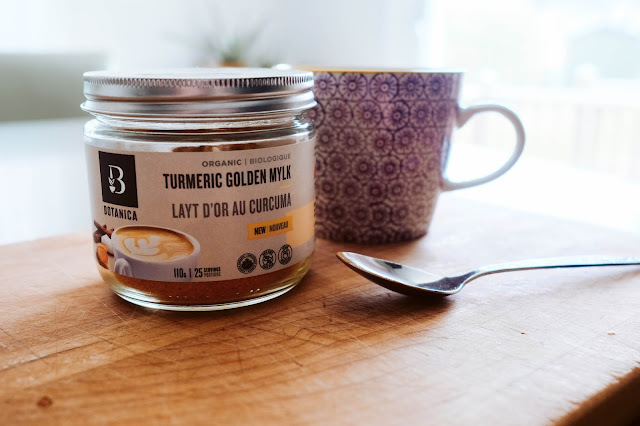 You can buy this amazing product here: Turmeric Golden Mylk Powder. The homemade version tastes the same as the powder with the exception of you being able to add different spices to change the intensity. 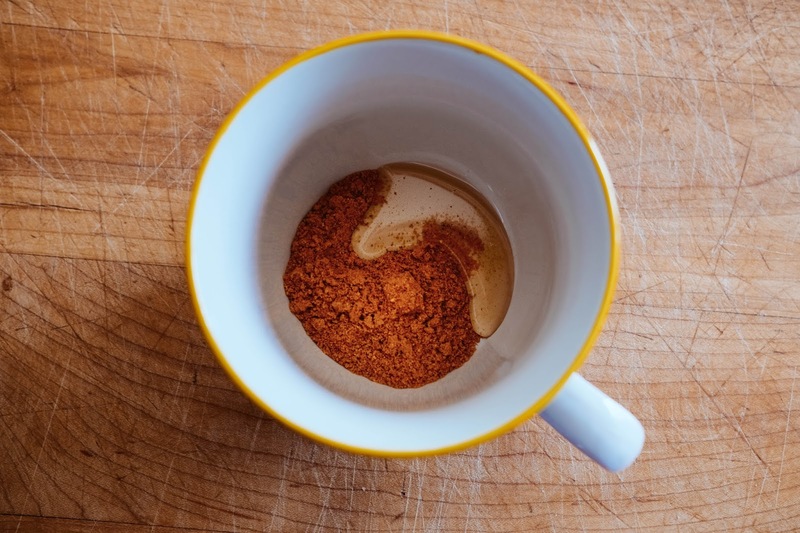 Add the Turmeric powder and honey into a cup OR add the turmeric, cinnamon, ginger, pepper, and honey into a cup. Set aside and boil some water. Add enough hot water to melt the powder and honey into each other and stir until clumps dissolve. Next, use a steamer or heat the milk up on the stove. If you heat this up on the stove, you won't get the frothy foam unless you buy a handheld frother, they sell them at IKEA for under 10$. Once heated, pour over your turmeric mixture and stir until smooth! That's it! Feel free to add a sprinkle of cinnamon on the top if you want or maybe some more black pepper. Comment below and tell me which version you used!